When Ben gets kicked out of the CIA’s spy school, he enrolls with the enemy. 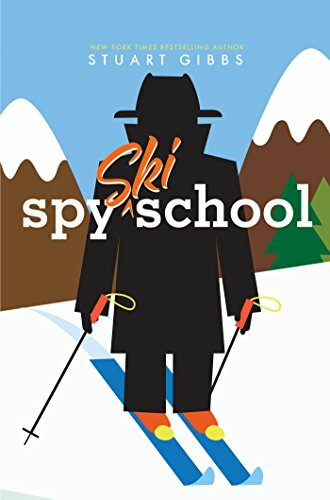 From New York Times bestselling author, Stuart Gibbs, this companion to the Edgar Award–nominated Spy School and Spy Camp is rife with action, adventure, and espionage.During a spy school game of Capture the Flag, twelve-year-old Ben Ripley somehow accidentally shoots a live mortar into the principal’s office—and immediately gets himself expelled. Not long after going back to the boring old real world, Ben gets recruited by evil crime organization SPYDER. And he accepts. 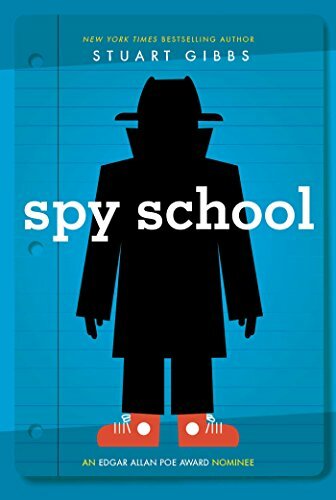 As a new student in SPYDER’s evil spy school, which trains kids to become bad guys with classes like Counter Counterespionage and Laying Low 101, Ben does some secret spying of his own. He’s acting as unofficial undercover agent, and it becomes quickly apparent that SPYDER is planning something very big—and very evil. Ben can tell he’s a key part of the plan, but he’s not quite sure what the plan is. Can Ben figure out what SPYDER is up to—and get word to the good guys without getting caught—before it’s too late? 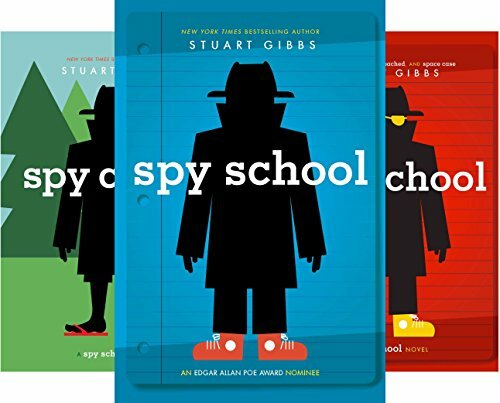 The first three books in the New York Times bestselling Spy School series by Stuart Gibbs are now available together in a collectible boxed set!Can an undercover nerd become a superstar agent? Ben Ripley sure hopes so—and his life may depend on it! When Ben Ripley is recruited to the CIA’s Academy of Espionage, it’s a dream come true. But as soon as he gets on campus, Ben finds out that Spy School is way more deadly than debonair. And given his total lack of coordination and failure to grasp even the most basic spying skills, Ben begins to wonder what he’s doing here in the first place. Luckily, through a series of hilarious misadventures, Ben realizes he could actually become a halfway decent spy…if he can survive all the attempts being made on his life! 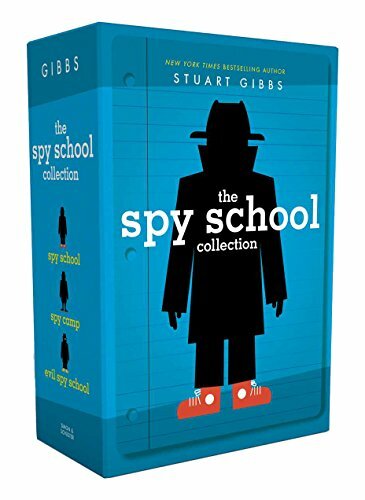 Ideal for newcomers to the series and loyal fans alike, this collection includes paperback editions of Spy School, Spy Camp, and Evil Spy School. 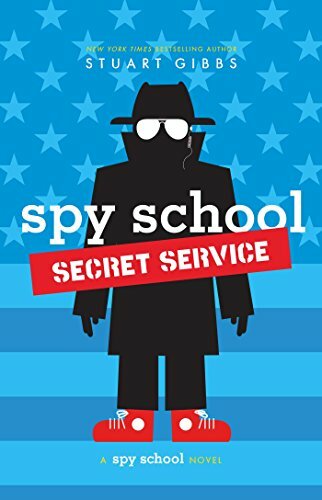 Ben goes undercover in the White House to take on a SPYDER operative determined to assassinate the president in this latest addition to the New York Times bestselling Spy School series.Thirteen-year-old Ben Ripley has had a lot of field success despite only just beginning his second year at Spy School, something graduates rarely experience. But he’d never have survived without the help from experienced agents and his friends. Now he’s been called in on a solo mission—and the fate of the United States of America is on his shoulders alone. The Mission: Prevent a presidential assassination by infiltrating the White House, and locating the enemy operative. But when the president’s son is as helpful as a hamster, and a trained SPYDER agent would never appear to be up to something (they’re far too clever for that), Ben may be in over his head this time. And when everything goes wrong, Ben must rely on his Spy School friends to save his reputation…but even friends can double-cross or be swayed to the enemy’s side. 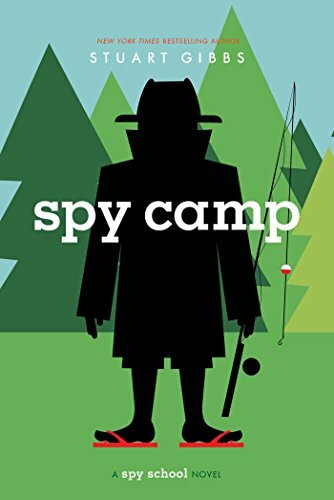 In this follow-up to the Edgar-nominated Spy School, top-secret training continues into summer for aspiring spy Ben Ripley—and so does the danger.Ben Ripley is a middle-schooler whose school is not exactly average—he’s spent the last year training to be a top-level spy and dodging all sorts of associated danger. So now that summer’s finally here, Ben would like to have some fun and relax. But that’s not going to happen during required spy survival training at a rustic wilderness camp, where SPYDER, an enemy spy organization, has infiltrated the spies’ ranks. Can Ben root out the enemy before it takes him out—for good? Can an undercover nerd become a superstar agent? Ben Ripley sure hopes so—and his life may depend on it!Ben Ripley may only be in middle school, but he’s already pegged his dream job: C.I.A. or bust. Unfortunately for him, his personality doesn’t exactly scream “secret agent.” In fact, Ben is so awkward, he can barely get to school and back without a mishap. 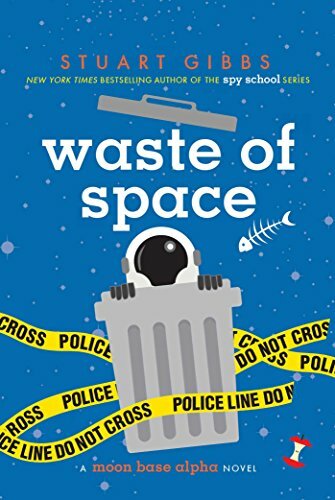 Because of his innate nerdiness, Ben is not surprised when he is recruited for a magnet school with a focus on science—but he’s entirely shocked to discover that the school is actually a front for a junior C.I.A. academy. Could the C.I.A. really want him? Actually, no. There’s been a case of mistaken identity—but that doesn’t stop Ben from trying to morph into a supercool undercover agent, the kind that always gets the girl. And through a series of hilarious misadventures, Ben realizes he might actually be a halfway decent spy…if he can survive all the attempts being made on his life! 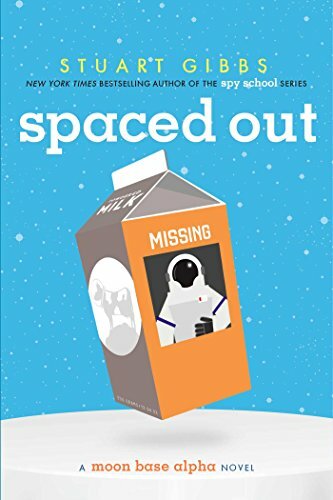 In this New York Times bestselling novel the moon base commander has gone missing and Dash Gibson is on the case. The second mind-boggling mystery of the Moon Base Alpha series from beloved author Stuart Gibbs.There’s nowhere to hide on the world’s first moon base. After all, it’s only the size of a soccer field. So when Nina Stack, the commander of Moon Base Alpha, mysteriously vanishes, the Moonies are at a total loss. Though he may be just twelve years old, Dashiell Gibson is the best detective they’ve got. But this confusing mystery pushes Dash to his limits. Especially since Dash accidentally made contact with an alien and has to keep it a secret. With the fate of the entire human race hanging in the balance, will Dash be able to solve the mystery of the missing Moonie? New York Times bestselling series Tensions are running high when multi-billionaire Lars Sjoburg is poisoned and demands to go home and everyone is looking to Dash Gibson to solve the case in this third and final book in the New York Times bestselling Moon Base Alpha series.Moon Base Alpha was supposed to be an exciting place to live, but Dash didn’t expect for it to be this exciting. After solving a murder and rescuing the moon base commander, he just wants to have a calm, quiet thirteenth birthday. But of course multi-billionaire and total pain Lars Sjoburg ruins it—by being poisoned. Now there’s a murderer loose on Moon Base Alpha again. And Dash is charged with finding out who it could have been. Everyone has a motive, and time is running out. From Book 1: Can an undercover nerd become a superstar agent? Ben Ripley sure hopes so—and his life may depend on it!Ben Ripley may only be in middle school, but he’s already pegged his dream job: C.I.A. or bust. Unfortunately for him, his personality doesn’t exactly scream “secret agent.” In fact, Ben is so awkward, he can barely get to school and back without a mishap. 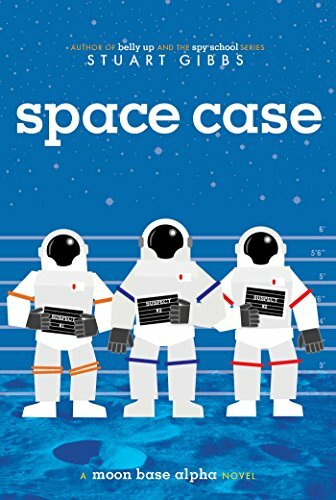 Because of his innate nerdiness, Ben is not surprised when he is recruited for a magnet school with a focus on science—but he’s entirely shocked to discover that the school is actually a front for a junior C.I.A. academy. Could the C.I.A. really want him? Actually, no. There’s been a case of mistaken identity—but that doesn’t stop Ben from trying to morph into a supercool undercover agent, the kind that always gets the girl. And through a series of hilarious misadventures, Ben realizes he might actually be a halfway decent spy…if he can survive all the attempts being made on his life! Ben Ripley tries to defeat Ashley and Murray and save Erica. 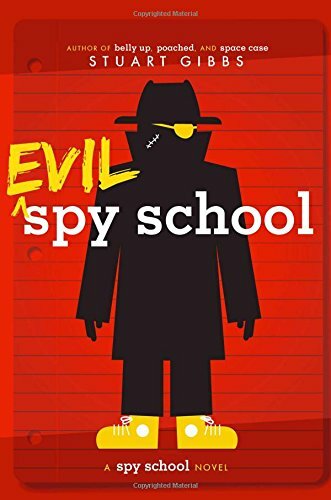 Compare prices on Evil Spy School at ShoppinGent.com – use promo codes and coupons for best offers and deals. Start smart buying with ShoppinGent.com right now and choose your golden price on every purchase.